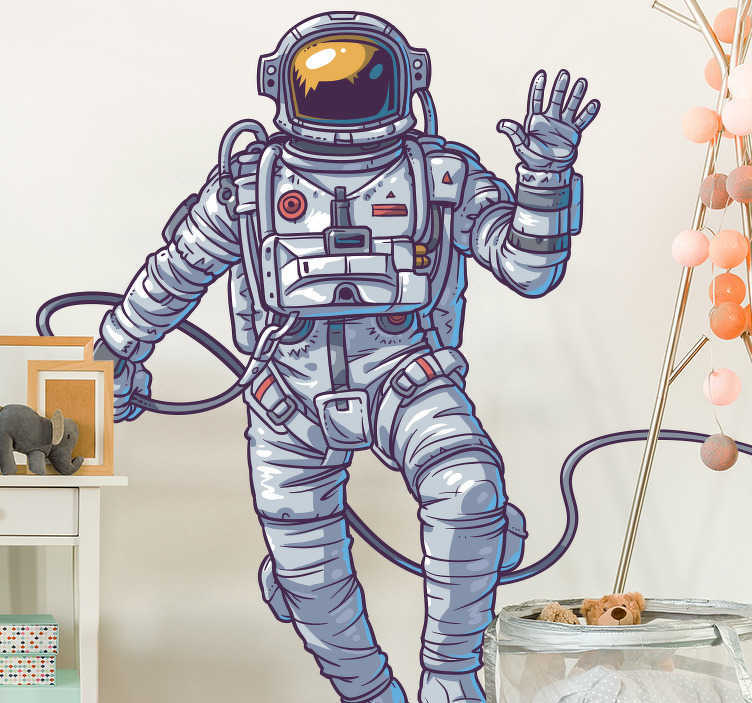 Detailed astronaut wall sticker for decorating a child's room, play room or teen's room, from our collection of space wall stickers. This original design shows an amazing illustration of a waving astronaut floating in space away from his spaceship. This unique illustration is the perfect addition to your home decor as it creates an atmosphere of wonder and excitement for you and your children. It is available in various sizes and leaves absolutely no residue upon removal.